Glasdon offer a variety of shelters including smoking shelters, waiting shelters and bike storage shelters made from a variety of different materials and ideal for outdoor areas where you require covered bike storage or shelter. Glasdon smoking shelters and wall or post mounted smokers canopies are designed to protect smokers from weather. Combined with a cigarette bin, signage and perch seating a designated outdoor smoking area is created. All our smoking shelters meet legal requirements. These are ideal for outside office buildings, retail parks, industrial estates, business parks and other workplaces. 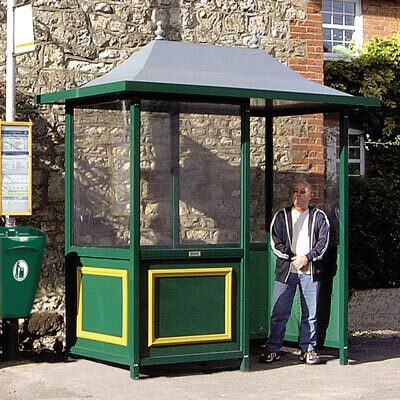 Our waiting shelters are ideal for use at bus stops or on railway platforms and can be offered with a notice board to display bus or train timetables. These waiting shelters are also popular for schools to create weather proof parent waiting areas, or to be used as outdoor break areas in school playgrounds for students to eat their lunch. 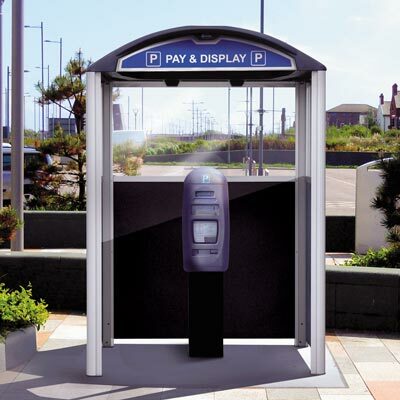 multi-purpose shelters can be used to protect pay and display machines, cash machines and vending machines from weather damage in public and private car parks, outside shops, retail parks, supermarkets, colleges and university campuses. They could also be used as mobile phone points or outdoor weather proof rest areas on industrial sites, outside factories or workplaces. 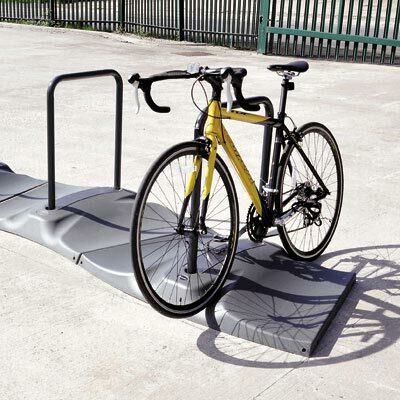 Glasdon offer a wide range of cycle parking. 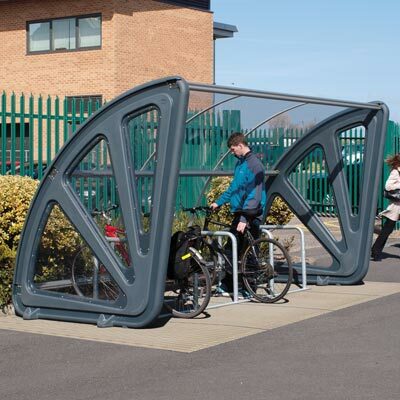 Bike shelters are ideal for outside offices, schools and colleges as they fit neatly on carparks and beside buildings, and can accommodate bicycles, mopeds and motorbikes. A choice of cycle rings, Sheffield hoops and toast rack styled bars for locking either the bike tyre or whole bike frame to the rack. These bike racks are available with our cycle shelters or can be provided individually. Our bike racks, bike stands, and cycle posts are ideal for town and city centres or outside shops to not restrict pedestrian traffic flow. 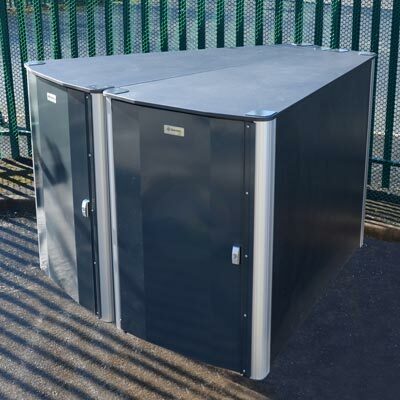 For maximum security, our cycle lockers are an ideal option as they protect the bike from vandalism, theft and weather, while the cycle lockers themselves are fire and tamper resistant. These are ideal for sites such as bus and train stations, city centre accommodation and large workplaces. All Glasdon shelters and canopies are robust, vandal and weather resistant and offer long service life.